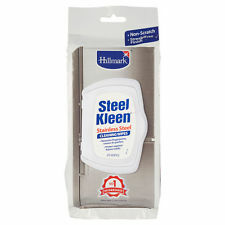 Hillmark SteelKleen is a unique stainless steel cleaner & repellent which comes as a 250ml pump spray or a pack of 20 resealable wipes. 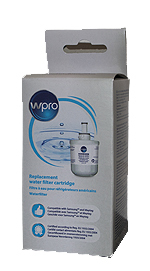 Use for kitchen surfaces, appliances, including fridges, ovens, microwaves, dishwashers, rangehoods, splashbacks, kettles, coffee machiens and other stainless steel surfaces. For a non-scratch, streak-free finish, Hillmark SteelKleen® Stainless Steel Pump Spray is perfect for use on appliances including fridges, ovens, microwaves, toasters, kettles, dishwashers, rangehoods and splashbacks. SteelKleen® is a unique formulation that that removes fingerprints, smears, spatters and waterspots and leaves a transparent film that actually repels new marks. No more fingerprints! SteelKleen® provides a streak free finish and will keep your appliances looking as good as new. This means that from the first time you use SteelKleen® you spend less time cleaning! For a non-scratch, streak-free finish, Hillmark SteelKleen Stainless Steel Wipes are gental on stainless steel surfaces and are perfect for use on appliances including fridges, ovens, microwaves, toasters, kettles, dishwashers, rangehoods and splashbacks. SteelKleen provides a streak free finish and will keep your appliances looking as good as new.